In November 2013, Russian television aired eight episodes of Шерлок Холмс, translated as Sherlok Kholms. The series starred Igor Petrenk as Holmes as Andrei Panin as Watson. This would be Panin’s last acting role, as he died before production finished. Some of his lines had to be spliced in from other recordings or by another voice actor. 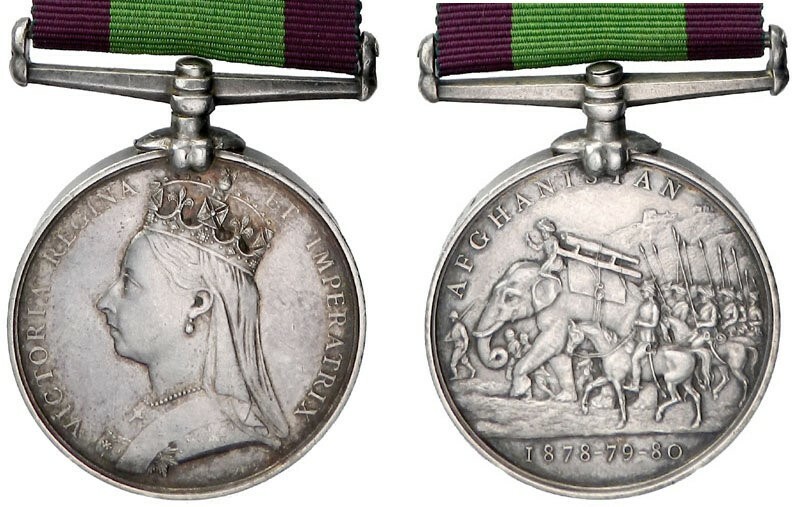 The first is the Second Anglo-Afghan War Medal. 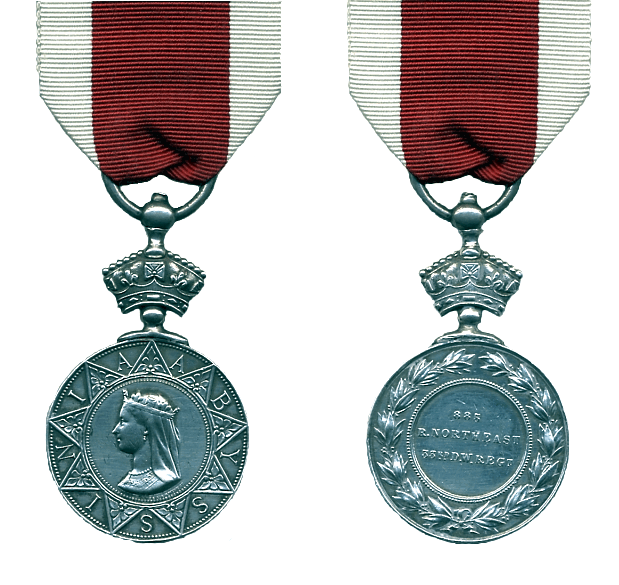 Watson’s service in Afghanistan makes him eligible to receive the Afghanistan Medal, a 36mm round, silver medal (some examples are known in bronze), with a 33mm wide dark green ribbon with crimson on both edges. The medal hangs from a plain suspender that has a double toe claw to hold the medal. A left-facing bust of Queen Victoria is on the obverse (or front) of the medal. The legend of VICTORIA REGINA ET IMPERATRIX is around the border of the design. This profile of Victoria was designed by Joseph Boehm. The central design of the reverse (or back) of the medal features an elephant carrying a cannon, with soldiers, marching and on horseback Below this is the dates 1878-79-80. In the upper left, above the design, is the word AFGHANISTAN. This design was done by Randolph Caldecott, an illustrator of children’s books. The medal was engraved by Leonard Wyon of the British Royal Mint. The second decoration is the Kabul to Kandahar medal. Measuring 62mm by 48mm, the medal is a five pointed star which is suspended by an imperial crown. Queen Victoria’s monogram is the central design, encircled with the words “KABVL TO KANDAHAR” and date of 1880. 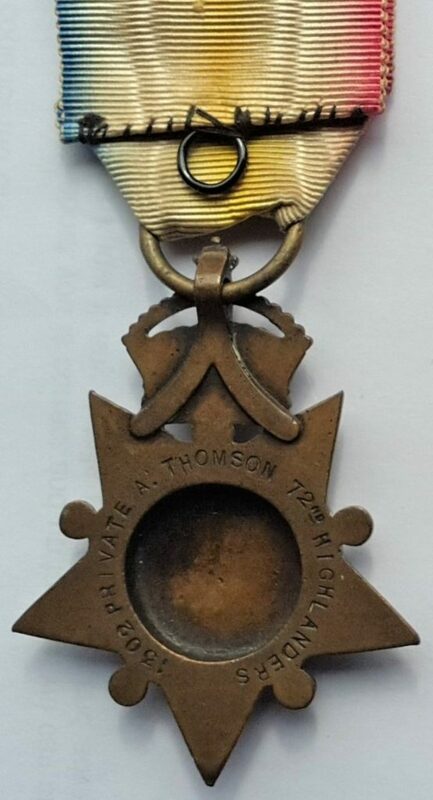 The reverse of the medal would be engraved with the recipient’s name and regiment assignment. As we have discussed previously, I hold the theory that Watson was ineligible to receive this honor. The third decoration on Watson’s uniform appears to be the Abyssinian War Medal. A left-facing bust of Queen Victoria is on the obverse (or front) of the medal. A stylised border with indentations, with the letters spelling ABYSSINIA between the indentations. The reverse has a blank central shield, for stamping the recipient’s name and unit, surrounded by a laurel wreath. This 32mm silver medal was designed by Joseph and Alfred Wyon, and struck at the Royal Mint. 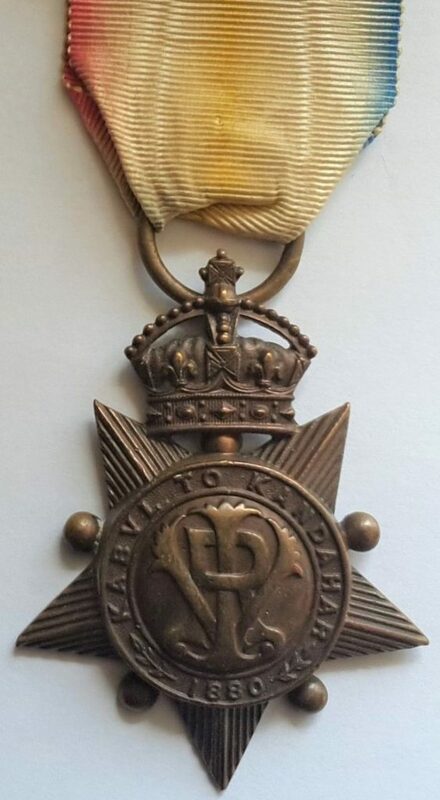 This medal is unique in that the recipient’s name and unit were embossed on the reverse of the medal. This feature required that the dies for the reverse had to have a removable center so each recipient’s name and unit could be impressed, with each medal minted individually. The medal is held by a suspension ring attached to a crown at the top of the medal. The medal hangs on a crimson, with white border, ribbon that is 38mm wide. This medal was issued to British troops that participated in the 1868 Expedition to Abyssinia (Ethiopia) between October 4, 1867 and April 19, 1868. Approximately 14,000 medals were issued. Since this action was 12 years prior to the Battle of Maiwand, it is highly unlikely that Watson would have been eligible to receive this campaign honor. So it would appear that the producers of this series only got one of the three campaign medals correct. What do you think?